The latest outing from Charalambides is a really peaceful side of bliss radiating from a new split 7″ with Pocahunted (via Not Not Fun’s still available Bored Fortress series, now in year 3!!). 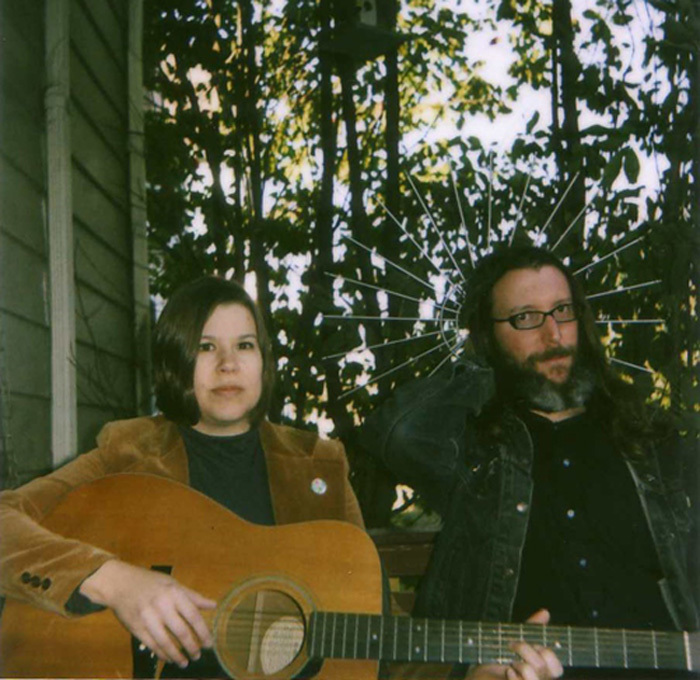 With a discography stretching back 15 years, Tom & Christina Carter seem able to effortlessly mainline each others intentions into otherworldly tone poems that often fall into black hole damage and delicate tone float in equal measure. ‘Memory’ is completely the latter, a shivering haze of colliding vocal & guitar sustain that sorta floats in, hovers around then quietly disappears. So Lovely. If only everything from Texas was this sweet.